Anyone else love playing finger number games as you teach finger numbers? I love hearing the little giggles as we laugh our way through learning and practicing finger numbers with new students. This week, I came up with a little activity page to work through with beginners or those who just need a little review. We’ll be doing one of these challenges each week with a small composition activity at the end. 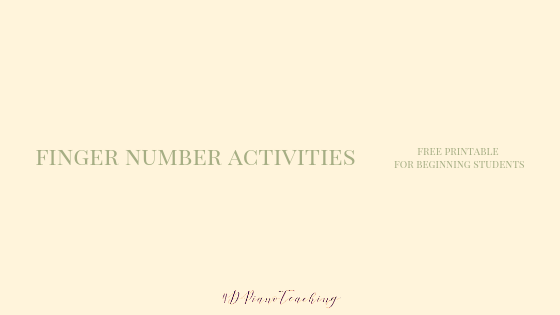 Each activity changes a little but helps them reinforce the finger numbers again. I’ll be asking them to make up their own challenges for me as well – they love to see how many I can do in 30 seconds at their next lesson! Hope you enjoy this simple activity page as much as my students do!